Ford announced that it is ending car production except for the Mustang, the pick-up truck and the SUV. We applaud their honesty in sizing up the current car industry and shifts in consumer taste. We call these fundamental forces “megatrends”, and they are far too large to fight against. Instead of battling megatrends, you are smarter to embrace the reality and find ways to make money with it. The problem with megatrends is that they often hit existing businesses savagely when they change. The examples are everywhere, from horse-and-buggy makers to Blockbuster. The goods news is that the storage industry is rooted in a megatrend that has no limits: the materialism of the American public. As long as people love buying and owning things, the demand for storage will be constant. And we don’t see any chance of Americans losing that appetite anytime soon. This is a chart out of a Kiplinger’s magazine from March 2018. It shows the rate of return on the top four mutual funds in 2018. Some of those returns are impressive. Until you notice that those large returns are for a 12-month period only. When you expand that study to the past several years, the returns drop like a rock, even into the negative column. In fact, the long-term returns are simply not impressive at all. So how can simple self-storage facility beat the returns of sophisticated Wall Street investors? When you buy a stock, it’s traditionally with cash. However, when you buy real estate, it’s traditionally with leverage, in the form of a bank loan at around 70% to 80% LTV (loan-to-value). When you have that type of leverage structure, all you have to do is maintain a 3 point spread between the bank loan interest rate and the cap rate to achieve a roughly 20% cash-on-cash return. However, in the absence of leverage, it is very hard to hit those type of return levels. That’s why a stock that hits even 10% cash-on-cash is considered amazing while a self-storage deal that hits 10% is considered average. Did you ever notice that most stock fund groups never want to talk about deals that went bad, only those that went well? That’s because they have a large number that tank. The reason is simple: most stocks in America are extremely risky. Look at the Wall Street darling of Tesla. Their stock has gone up and down 50% this year – and that’s pretty good considering the fact that they’re yet to show a profit. In fact, look at all the stocks in America that have zero or negative net income. It’s insane. Self-storage deals rarely sell at less than a 5% cap rate. It’s that simple. And what about some of the business models that you find on the U.S. stock exchange? There are people with services that have no revenue and never will. And products that cost more to make than they sell for. They all have a vision of how that will all work out profitably in the end – but you know that virtually none of them will. Meanwhile, self-storage is a basic business model that is based on a lengthy track record of success and with zero percent chance of obsolescence or technology shifts. People pay you to store their stuff within 4 walls and a roof. That’s not going to change. The next time you have FOMO over some mutual fund that went up 15%, look at the average over the past three years and your excitement will evaporate. The bottom line is that self-storage return levels clobber Wall Street and will going forward. One of the great things about self-storage investing is that, in certain cases, you can get the seller to carry the financing, and thereby avoid the typical stress and effort of obtaining a bank loan. There’s no greater lending than seller financing, and self-storage is one of the few sectors that still offer it – simply because so many owners are the original builders and own these properties free and clear. A seller financed transaction is no different than a traditional bank loan, except for the fact that you get to skip expensive third-party reports and can sometimes get a lower interest rate as well as lower amount of down-payment. Right now, the most common down is 20% and the most common interest rate is 5%. The seller normally uses a 25 or 30 year amortization, and has a balloon in 5 to 10 years. So how do you get the seller to agree to this? Right now it’s simple. If the seller gets paid in cash (by you getting a bank loan) they will only get around 1% in a CD, while they can get 5% carrying the debt. That’s a five-for-one difference. Years ago, when CDs were paying 5%, getting seller financing was much more difficult. Based on risk and return, any seller would be much better off carrying the debt. So it does not take the world’s greatest salesman to pull this off. But this is not Monopoly money. A seller note should be treated with the exact same seriousness as a traditional bank note. It should be reviewed by an attorney and closed via a title company. Make sure to record when and where to make payment and never be late. Don’t assume that the seller will be lenient on you if you don’t pay as described. Money corrupts or alters people, and sellers are no different. In addition, if the seller dies, you will be stuck with heirs that don’t know you and may want to harass you to get you to pay the note off early. This means that, in the event of default, the only damages the seller can get from you is the downpayment. This means that, if the seller does not get your payment, they have to notify you in writing and give you the chance to make it up before they can post the loan as in default. This means that you can re-sell the facility at any time and the new buyer can assume the existing seller note. This makes selling it much more easy. If you storage facility comes with some additional assets (like extra land or vehicles) it’s a good idea to get a “release price” so you can sell these off and pay the note holder a set amount to release title. Seller financing is tremendous. We are huge fans. But you need to construct this debt in an attractive manner and 100% legally correct. A good seller note is like gold. Can a single self-storage facility really be a financial game changer? The answer is yes. Here’s how. If you buy a storage property correctly, you should have a monthly positive cash flow after the note payment. And as you increase occupancy and rent levels, that amount just gets larger. While you cannot retire off of this (unless the facility is really large or you can boost occupancy and rents significantly) this additional income stream can equate to more financial security, better vacations, private school, and the like. Here’s where things get really big. When you finally pay off that mortgage, you can definitely retire on that cash flow. 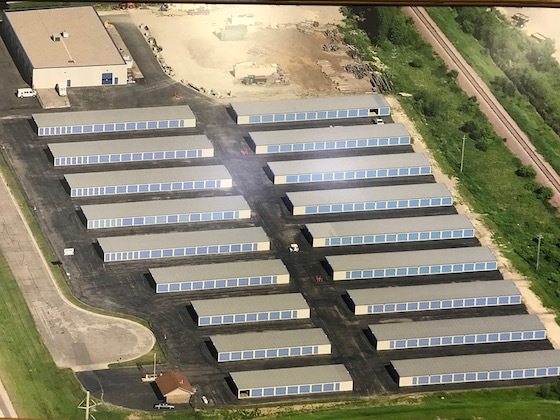 For example, a $1,000,000 storage facility will have a note payment of around $4,300 per month. That’s $51,000 per year in your pocket once the debt is retired. Including the typical 20% return on your down payment, that’s nearly $100,000 in cash flow to you annually. Here’s the neatest part about income properties. Not only do you get monthly money, but you also get a giant payday in the end when you finally sell it off. Going back to that example of a $1,000,000 storage facility, when you finally sell it off you’re going to pocket $1,000,000 or even more if you’ve raised rents or occupancy along the way. A single self-storage investment can indeed be a financial game changer. But don’t just take our work for it. Do the math yourself. One of the best ways to find a storage property to buy is using a method called “cold calling”. But to make it truly productive, there are some rules you need to follow. Here are our top tips. There is no purpose to picking up the phone book or Google and phoning the managers of those storage properties. They are not the decision maker. To do it properly, you have to do a bit more work, You have to get those addresses off of the internet or phone book and then look at the tax assessor’s data on ownership. This can be either on-line or – if they are not modernized it – by phoning the tax appraisal district. Once you get the name and address, you can get the phone number on websites such as switchboard.com. 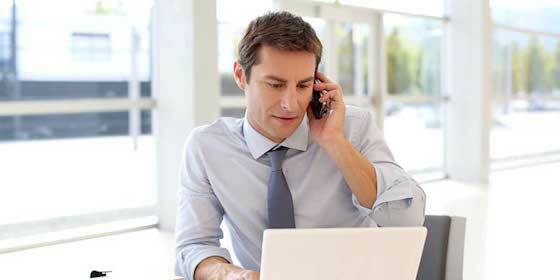 Most sellers are turned off by meandering, non-direct approaches when you call. 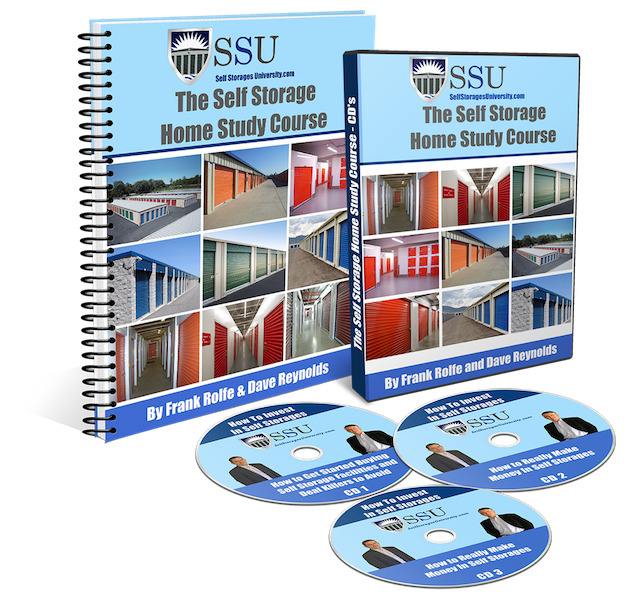 Instead of saying “how’s the weather?” get straight to the point and say “I’m interested in buying your storage facility – would you be interested in selling?” Our experience suggests that you make people uncomfortable when you don’t get straight to the point, and that leads to a greater percentage of “no” results just to get you off the phone. There is a misconception that cold calling is nasty, just like door-to-door sales of school cookie dough that everyone hates. This is not the case. You are trying to literally give the person money. Nobody is offended by that. They may not agree to sell, but they certainly aren’t going to yell at you for making the offer. Every time you talk to an owner, you should end with “so should I call you back in a week?” If they say “yes” then when you call back the next time say “hi, you told me to call you back in a week”. That way you are never a pest. If you do not do it that way, you will get a completely different response as the seller loses track of time and thins a week was only a couple days. You should never give up when you cold call. Keep on calling and building that discussion. You’d be surprised how may deals take months or years to happen. It’s just a conversation, and you have to keep going until you finally get a “yes” or “no”. And if it’s a “no”, then just start all over again. Cold-calling can be a terrific way to find a good storage deal. While we use many methods including brokers, on-line listings and direct mail, as well, there’s no question that cold-calling is an important part of the overall sourcing of good investment material. This list should get you off on the right foot. Nobody likes spending money on legal fees. But sometimes it’s the smartest thing to do. So if you have to use an attorney, how’s the best way to keep the cost down and the success rate up? 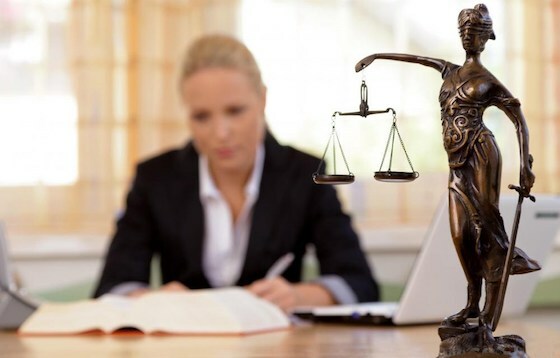 You should only give an attorney a very finite mission – not a broad one. You should not say “I need a standard lease agreement for my storage facility” but instead “here’s a copy of a storage lease I found on-line – I need you read it and make sure it’s OK”. If you give an attorney a broad mission, they will add thousands of dollars to the bill in “research”. Do the research for them and save yourself a ton of money. And don’t be shy about talking about money with an attorney. They want you to be so impressed with their fancy office that you’ll be embarrassed to talk dollars, but the truth is that the worst possible thing you can do is not set expectations on what the bill will be. Say things like “so what would you ballpark this will cost?” or “my budget on this is only $1,000, so we can’t go over that, OK?”. There’s no reason that you can’t hold an attorney accountable on getting the job done in a timely manner. However, most attorneys – if left to their own devices – will often fail to hit deadlines by a huge margin. Tell them when you need your work done and then stay on top of them to frequently check on it. Silence is definitely not golden here. Not all attorneys are created equally. They all have different specialties. Be sure to match up your job to what the idea attorney would have trained in. Don’t give real estate law to a divorce lawyer, nor zoning law to a traffic ticket attorney. Attorneys are an important part of many projects, including the purchase and operation of a self-storage property. But they do need some special handling, or the cost and timing may not be what you expected.